Rated 5 out of 5 by Marja67 from Another Haunted, Scary Hotel. Outstanding graphics. Look for morphs, collect puzzle pieces and memory builders. So good. Bought it after a few minutes testing it out. Rated 5 out of 5 by bmn5772 from WINNER WINNER BIG FISH DINNER I loved the game from the very start. The graphics are superb and the challenges are perfect! Rated 5 out of 5 by biscuitsmama from YOU MIGHT GET MORE THAN YOU PAID FOR DURING THIS SPA HOTEL VACATION Haunted Hotel Lost Dreams is the 16th game in the series – a series I had hoped would die out long ago but now I am not too sure because this latest game is terrific. The game begins as you and your wife Jane are traveling by train on your way to a vacation in the Swiss Alps, when suddenly the train goes off the rails. You awaken in the hotel thinking it might have been a nightmare but Jane is nowhere to be found. It doesn’t take you long to know that something is very wrong. Will you be able to free yourself and Jane from this hotel, or is it already too late? You will need to play this wonderful new Haunted Hotel to find the answers to those questions and find out what sinister intent is hidden in this Haunted Hotel. If you have read many of my reviews you might guess that I am not a big fan of the Haunted Hotel series. In fact, I didn't play or review the last two games in the series because I didn’t care for the demos at all. I hate dusty dirty interiors for graphics as I simply don’t find them appealing in any way. That being said, I almost didn’t bother to try the demo of Lost Dreams but I am so happy that I did. IMHO, this is one of the best Haunted Hotel games in years. Although the game begins in a seemingly deserted hotel, the interiors are in amazingly good shape. I found Lost Dreams a delight to play with great HOPS and absolutely wonderful puzzles. In fact for me, the puzzles are one of the best parts of this game. A couple of the puzzles were really tough for me and the others had varying levels of challenge but I only skipped one puzzle that I couldn’t figure out I love everything about this game with only one minor comment that I choose to make about the Custom game setting. I think it is time that the developers start offering a “true” custom setting where we can choose to set our own hint and skip times as low as we wish to set them. I personally dislike having to wait 15 seconds or whatever other low-end limit the developer might think we need. Please developers consider allowing a true custom time limit for hints and skips. The HOPS are very good with the standard list type being the first scene we encounter in the game. That scene is soon followed by a variety of others but they are all excellent even if they are what we see in most games from this developer. Where this game becomes excellent for me is with the puzzles that I really loved. The first puzzle is very easy and involves sliding tokens into the correct slots. The next puzzle was a bit more challenging because I had a difficult time reading the symbols that were on top of each other. The 3rd puzzle is a memory puzzle and that was more challenging until I figured out the “trick”. The puzzles became a bit more difficult with a door puzzle that I did skip because I really didn’t “get” it. The CE version of the game offers a total of 40 morphing object and 20 picture parts to find. There are achievements to earn and the other standard fare such as 10 Wallpapers, 10 Concept Artwork, 4 Screensavers, 4 Music Tracks, Memory Elements, Picture Parts, Replay of 12 Mini-games and 15 HOPS, the Secret Room, a Bonus Chapter, and a 40-page Strategy Guide. The game has 5 Chapters and a Bonus Chapter. As I mentioned earlier I did not play the previous two games in the series but Haunted Hotel Lost Dreams is one I purchased and have been playing for the past few hours. For me it is a long game but I am a slow player savoring each scene in as I move forward. You already know by now that I love this game and I hope you will as well. 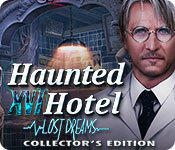 As always, please try the demo to see what you think of Haunted Hotel Lost Dreams. Happy Gaming! Rated 5 out of 5 by rainworm from A wonderful trip into the surreal Haunted Hotel – the uncanny and horror lite is guaranteed in this series. We may enter a building, where the remnants of past events and fates form the basis for our experience. This time it is Schneider’s hotel and spa in the Alps. A train accident, a lonely man walking on the snow, looking down from a hill on a hotel. Mumbles about his only chance…. Mark and Jane Stuart had been looking forward to their vacation in the Alps. But when they enjoy their journey on the train, the accident happens. We play as Mark Stuart and wake up in a hotel room. So, we must have survived, but where is Jane? Strange, a photo of the two of us is on a chest but the ad of the hotel says Schneiders, Hotel & Spa, not the one, we wanted to go. An album shows pictures of the Schneiders and little Tony describes them as a happy family. Whatever has happened, first of all, we have to find Jane. We see her several times in a wheelchair, asking for help but she keeps disappearing immediately. The room and corridor look quite normal, though abandoned. With the spa area a surreal world opens. Behind a hall a beach opens. We can reach it via a bridge, enter a bungalow, in which we hope to find Jane. But behind the door is a padded cell. It is closed, as soon as we are in it. Again, Jane is calling for help and again we find clues of the Schneider family story. A diary with passages of Tony, his accident which led him into a coma. Father Schneider is desperate to save his son. Next: we wake up (again) and find ourselves in an absurd experiment: Schneider needs other people’s lifeforce for his his children and tries a transfer on a subconscious level. But though we prove as a real survivor, the nightmare will not end soon. Something goes really wrong….. 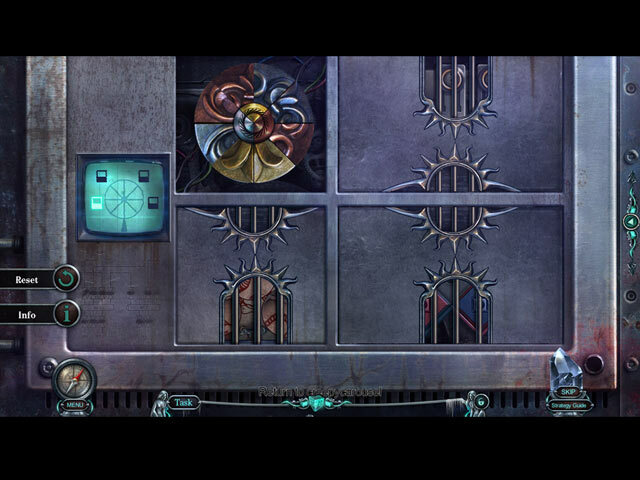 The game offers many puzzles and HOS, varied as usual. Both are entertaining though not new. But once in a while the known is good enough, especially in cases where the story compensates. It is a more surreal adventure, not a lost dream but a nightmare, very well made with great visuals. As usual we have many collectables and morphs. 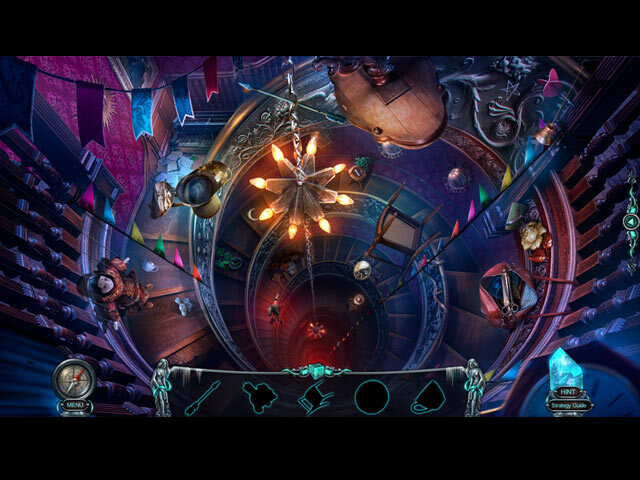 Rated 4 out of 5 by wild_irish_rose from Haunted Hotel: Lost Dreams CE Fun factor: Was Good, really enjoyed the twists and turns. Even Bonus Game was fun. Visual/Sound Quality: Was also Good. Graphics could have been a little better. Level of Challenges: Good enough to challenge the mind. Storyline: Was okay, could use some improvement. Rated 4 out of 5 by wildlifecrusader from What is real ? And what is fantasy ? Is it a monster or an Alien and where did it come from ? Is that creature behind very thing what happened or is that weird physicians fault. He tries to save his children and to do so he might have opened Pandora's box. I'm half way through the game and by now I didn't find out what really happened. So far I had fun playing it and I would say it is a typical Elephant game. It will suit all players from beginner to the experienced ones. It is straight forward and you can collect morphing objects , memories and puzzle pieces to unlock more games. I personally would prefer more puzzles; instead locking permanent for keys or objects to open locks. Still a good game , worth playing . Rated 4 out of 5 by pgillenw from I enjoyed the bonus game as much as the main chapter! In fact a little more. Overall this was a fine game and deserving of a play Main game seemed too short but I admit perhaps that I was engrossed so maybe I spent more time in play at one setting. I do wish creators of storylines would consider a change in creating stories with strange creatures. Strangeness can be accomplished by using more contemporary villains. Rated 4 out of 5 by Majestyx12 from I liked the CE bonus content better than the gameplay The gameplay was a lot of find this and put it here or there. I like Haunted Hotel and Grim Tales, both by the same maker to be scary and it was not. My favorite in this series is Personal Nightmare. I did have one or two surprises that I really liked. Spoiler Alert...... I thought the Dynamite was amusing and the throwback to Mystery Trackers which this maker, also makes. I think I'm giving it 4 stars based on the bonus content which I am really into. I love the 27 morphs, 13 morphing memory elements and 20 picture pieces. The 68 morphing objects in the secret room. It has replays on 15 hops, 4 music and 12 mini-games. There are 14 hops in the main game and 4 in the bonus chapter. 18 hops all together. 4 are matching pairs which isn't my favorite. The mini-games are relaxed. They all have skip. I counted 18 in the main game and 7 in the bonus. 25 mini-games. The secret room which I mentioned that has 68 morphing objects is only in 4 rooms. You search these 4 rooms and when they are found in one room, the picture turns gray so you know you found all of them in that location. You have to choose them when they are morphed into the item your looking for. You are looking for 4 Crystals, 8 Schneider's Portraits, 12 Traveling bags, 16 Skulls, 8 faceless Strider and 20 Formalin Jars. I would give the storyline just ok which is 3 stars. It has 5 chapters + bonus chapter. It's 864.7 mb. The guide has 40 pages. I had tech problems so, it would be a good idea to try it first but I had problems in the 5th chapter so I guess it may not apply. Rated 4 out of 5 by Suzzie from Suzzy Enjoyed the game. The puzzles were challenging. 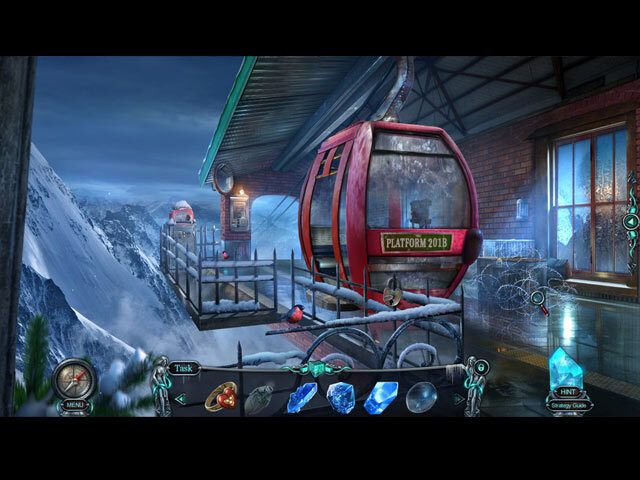 Liked the hidden object games. There were a variety of challenges. Rated 4 out of 5 by BooksandGameFan from I'm intrigued enough to buy this game on a good sales day. I don't normally like to leave a review until I've played the entire game but since there are no reviews for this game and I found it to be a rather fun game and the end of the demo really intrigued me I figured I leave my two cents about the demo. I can always leave a review about the completed game on SE edition when it comes out. For now, this game intrigued me enough to buy it on a day with a great CE sale, sadly today is not that day. The game had some nice spooky moments but to be honest for about half the demo the game was not really drawing me in, for the most part, it was, find this to open that which elephant is known for these days. The story was unfolding so slowly there was barely a story at all so I didn't think this was going to be a purchase for me but towards the middle, it started to pick up a bit and then we come to the end of the demo and the cliffhanger, which really grabbed my attention, enough to want to keep on playing. The demo did feel short so I'm thinking that this might turn out to be a short game which will be a real bummer but so far I really can't say for sure. I don't think this is going to be a 5-star game like the first few in this series at least it doesn't feel like it so far. I think we will ultimately end up with a solid 3 or 4-star game, sadly I kind of feel like that's the most we can hope for these days. I had some trouble with a few of the mini-games and directions weren't very helpful so I skipped them, no biggie to me since I normally skip a lot of the mini-games. The hidden object scenes were good and different from scene to scene. The atmosphere and graphics were well done. If I buy this game and find that it turned out to be a dud I'll leave another review about the completed game under the SE edition. For now, I will say I recommend this game. Rated 3 out of 5 by katkatkat from A creepy honeymoon with a disturbing twist - This review is based on the main game- At first I thought the game was amazing. There was a lot of detail, it seemed realistic to me. When I got further along in the story, I was disturbed. I'm not quite fond of "the crazy scientist who experiments on random, unfortunate people to save his familiy" because I've seen that concept way too much. Then I thought I finally understood what was happening and than the game was done. The storyline was way too short in my opinion, things happened way too fast as soon the story led to its end. It could have been amazing. Sadly this isn't the game for me, but if you like an cliché storyline with amazing graphics (that's basically the only thing I like about this game) then this is the game for you. The level of challenge is "ok". In my opinion suitable for all skill levels. Rated 3 out of 5 by timothya from Where's The Plot? The predecessors in this series have given the player a certain expectation of a solid mystery story behind the flash, at which this entry comes up quite a bit short. But the flash is undeniable - the graphics are excellent and although decrepit, the hotel environment is colorful and clear. Game play is smooth and logical, maybe a bit of back-and-forth but not to excess, and the objectives are clear. Male POV for a change. Pros: great environment, excellent and occasionally very weird graphics, nice transitions, adequate voice acting (I suspect the actors did what they could with the lines), some very good puzzles, and a comfortable variation of HO scenes. Cons: please, Dev, shift some budget from the graphics department to the writers! Wife Jane's sole function in this one is to sqeal "Save me, Mark!" in nearly every scene, which is a little light on the emancipation side for a modern female protagonist. Mark's inevitable reply, "I'm coming to save you, Jane!" is a little painful after the third or so repetition - what else would he be doing clumping around in a hotel filled with burst steam pipes and one-eyed specters? Can't blame the voice actors for that. We get precious little information on the Doc, his late wife, and the kiddies, who must, by now, have a world-record case of bathtub wrinkle in their fingers and toes from all that floating around. We start, play, and finish with nearly no idea of who any of the characters (including the protagonists) are, including the creepy whatever-they-were in the air. Bonus game: One word - incomprehensible. That said, the environment and the puzzles almost redeem the nearly nonexistent narrative. There is no doubt of the superiority of game mechanics or any of the technical aspects. It's a straightforward spouse-to-the-rescue action game, and I enjoyed it for that, but don't look for an Agatha Christie plot here. Rated 3 out of 5 by dancemom1 from Wife's missing...again! Hello friends! As usual, I review mostly on the game play and leave the story line to others who do a much better job than I. Wow, this series just keeps on going! Graphics were nicely done, very clear with no blurring when going in or out of cut scenes. Game play was excellent, with no problems during the demo. Colors were very clear and bright, but not over powering at all. We do have very bright lights when traveling to other dimensions. Voices are age and character appropriate and very well done, when we have them. During the demo, there was very little character interaction. Music was okay. This game was fairly quiet, so I didn't really notice much in the way of sound FX. Animation was excellent, including the appropriate facial movements. HOPs were clear and clean, no junk piles. Items were easy to find, so no eye strain. As usual, we had a combo of interactive lists, silhouettes, finding pairs and straight lists. I did not see that you could switch to anything else if you got bored with the HOPs. Puzzles were not difficult, and real time or thought to complete. We do have a lot of back-tracking for items, but we have a transport feature that saves a lot of time. You also have a jump map if you prefer, but the transport is much faster. Hint system is helpful. Strategy guide is the usual and helpful if you just can't find that one last collectible. Collectibles aren't bad and some had a little challenge to finding them. We have 27 morphing items to find. These are not difficult, but they do morph fairly quickly. We also have 20 picture pieces that can be almost anywhere. They are fairly large, so not difficult to miss if you remember to pick them up. We also collect 13 memories. Not sure why yet, as I didn't see that we could use them or look at them during the demo. The story is nothing new, another wife, husband, sister, etc., goes missing and we must save them from the bad guys. The story started to get a bit "out there" when the demo ended, so I'm not really sure about this one. I may have to replay the demo again. This is one you will definitely need to decide for yourself. At this point, I don't think I can recommend this one, except to beginners. As always, try it for yourself and see what you think. We all have different tastes in games and you may find this one to be exactly what you are looking for. Thanks for the reviews. Rated 3 out of 5 by Granny_Gruff from There's a Train Crash in the Alps The opening animation shows a man walking to the edge of a cliff. He is holding a glowing crystal in his hand. When he gets to the edge of the cliff, he looks down on smoke billowing from twisted train cars below him. Then the game opens with Jane and Mark talking in their train car. Within seconds, the lights go out and everything goes dark for Mark. He awakens in what looks to be a hotel room, somewhat decrepit with a locked door to the hall and a rusted handle on the only other exit in the room. After puzzles and HOPs, Mark has figured out this is the Schneider Hotel and Spa. He makes it out to the hall and eventually is lead on by Jane. She is in a wheel chair, and constantly out of reach, and calling to Mark. Good stuff: There are HOPs, mini-games/puzzles, a scant story, and with the CE bling are three types of collectibles: 27 morphing objects, 13 memory objects which also morph, and 20 puzzle pieces. Bad stuff: The story is so light on details, it should float. Mark is chasing after Jane, with occasional glimpses of an alien presence and shifting scenes. There will surely be something bad going on - after all this is an entry in the Haunted Hotel series - but it will take some digging to get more details out of this game. Each locked object seemed to have more than one amulet to open it and, sometimes, multiple objects/amulets/pieces to open multiple sections of a single box/cabinet/drawer. Bottom line: There were only bits and pieces of the tragedy involving the Schneider family and only seconds of dialogue between Jane and Mark, it was hard to care about what was going on. Add to that the familiar puzzles and how quickly the demo was completed, and it is easy to walk away from this HH series game. Please try the demo. The game is tamer than the last couple in this series and this one may be the one you want. I'll try the SE later. Rated 3 out of 5 by lala4home from Welll...another series going blah I played the whole game and the bonus. It was at best mediocre which was disappointing to me because I liked the Haunted Hotel creepiness quite a bit, and looked forward to another installment. This game became another find the shape to open the thing game. And repeatedly. Another shape, another key, and a mini-game thrown in now and then. Some of the mini-games were entertaining, but overall they were the same kind of thing we've seen before-swap places to complete a puzzle, slider games, set the numbers to proper levels. Just nothing new. My biggest complaint though, and maybe it's just me? is the lamentable voice acting. Just because someone can read doesn't mean they can act. The "Doctor" was laughable when I wasn't irritated. I loved Elephant games in the past. Not this one though. Please, as always, trial it and judge for yourself. Rated 3 out of 5 by shay2004 from Just okay. Just tried the demo. I don't know if the better part is after the demo. I might just see what others review on the whole game before I buy. I wish all games had interactive scenes where you touch something in the scene and it reacts. This one doesn't. It looks like after the demo it might have a funicular ride maybe. That would be fun. Finished the demo pretty quick, without skipping very much. Just felt like it was getting interesting and it was over. Rated 3 out of 5 by youko210 from it is OK but I like very terror and terrifying games. Rated 3 out of 5 by grunny50 from I need more! First, it is a very nice game, progresses nicely, great puzzles, okay HO's, and good music and artwork. My only disappointment that I saw during the demo, is the lack of a ghost! This is Haunted Hotel, and I was dismayed to see something like an alien snatching my lady friend. This wasn't what I expected: something creepy! I have several Haunted Hotel games, and I wish the developers wouldn't rely on the alien theme. I can't recommend it yet, because the trial was so short. Rated 3 out of 5 by sunnyglow from REGRETTING MY STAY AT SCHNEIDER’S HOTEL AND SPA – A BAD DREAM COME TO LIFE! REVIEW BASED ON THE ENTIRE GAME (INCLUDING BONUS CHAPTER) 5 Chapters Plus a Bonus Chapter – Strategy Guide: 40 Pages - Time: 4 Hours OVERVIEW: Wake up Mark! Wake up to your own worst nightmare! After a train accident in the Alps find yourself in the Schneider Hotel and Spa. But – how did you get there? And where is your wife, Jane? You will have even more questions when you see an ocean replete with a sandy beach within this hotel. Are you experiencing a hallucination, are you dreaming, or are you going insane? You see glimpses of your wife calling for help; however, you cannot reach her. It will be up to you to assess what is reality and how to deal with these “haunting” hallucinations within this strange hotel. What is the story behind this hotel? Why are you there? Has the dream world escaped into the real world? And as you amble around the hotel, how does the family who once inhabited this hotel fit into all of this? Hopefully your stay at this hotel will be brief! MECHANICS: Wake up to a bad dream – this game! I purchased this game based on the fantastic demo and was disappointed afterward. It is a good, but not great game. It is also a SHORT GAME. To me, it is not CE worthy. I feel the game falls into an abyss of mediocrity after the demo. While playing there were spots which I found sleep-worthy due back-and-forth movement within the scenes. That fact, along with extremely easy puzzles and the boring nondescript HOP scenes, made this game tedious for me to play. It appears Elephant put all their goodies in the demo. This is a psychological thriller which may also appeal to sci-fi fans. I would recommend this game as an SE. To me, the bonus chapter is not worth the additional price for this game. You collect thirteen (13) memory elements and twenty (20) jigsaw pieces for pictures. You also collect twenty-seven (27) morphing objects. I found that most were easy to locate – however I did find some well-hidden within the scenes. There is a display at the right side of the computer screen indicating how many of each item you have collected. You can replay twelve (12) puzzles and fifteen (15) HOP scenes. There are eighteen (18) achievements which you can earn. BONUS CHAPTER: The Bonus chapter is a sequel. You and your wife, Jane, help a girl, Alice, after she falls ill. She is having nightmares and needs you to search for her brother, Tony. There is not much activity within this chapter nor dialogue. It is a series of running to and fro searching for items and playing an occasional HOP scene or puzzle. The HOP scenes are the same standard lists of items, silhouette and matching pairs as in the main game. The puzzles are of the same caliber as the main game as well. I played this chapter is less than one hour. There is also an “Easter egg” within this chapter! Hope you locate it! HOP SCENES: There are fifteen (15) HOP scenes in the game. The scenes are standard and lack interactivity. They also lack creativity. They include many standard lists of items, some silhouette scenes and a few matching pairs scenes. The matching pairs scenes are almost duplicates of each other. PUZZLES: There are twenty-five (25) in the game. I loved the puzzles in the demo. After the demo, I found the puzzles easy and lacking creativity. There is one super puzzle toward the end of the main game. The four (4) puzzles within in are ridiculously easy.The only one I found somewhat unique was a shooting marbles puzzle in the Bonus chapter. They include a couple of sequence puzzles, several puzzles to restore some type of image, and a few assembly puzzles. Basically, they are standard ones seen in other games, and one is a duplicate of one I just played recently in another game. Here are a few of the puzzles from the game: POSSIBLE SPOILERS: THESE ARE SOME PUZZLES AFTER THE DEMO: A. Assembly puzzle. Maneuver four (4) arrows to point to two symbols (two arrows point to each of the two symbols) within a row. These combine to create a given symbol at the bottom of the screen. Do this for five (5) symbols. B. Matching puzzle. Set coordinates to open a lock. Using a wheel set numbers and colored gems as per a given set of directions. C. Sequence puzzle. Turn on six (6) lights by flipping switches until all the lights are lit. Trial and error. Clicking on one affects the others. Rating: 1/2 D. Assembly puzzle. Rotate eight wheels (with a wheel within another wheel) to create four symbols which appear at the side of the grid. (This puzzle is almost identical to one I just played recently). E. Maze puzzle. On a grid with several squares, create a path for a ball to reach the end square. F. Gear puzzle. Arrange five (5) gears so they intermesh with a moving one. G. Maze puzzle. Rotate four (4) rings so that four paths are created. H. Super puzzle. (1) Switch puzzle. Switch pieces on a circular grid to restore an image. (2) Matching puzzle. Uncover and match up colored balls. (3) Slider puzzle. Slide six (6) colored squares (3 each for 2 colors) so that each set matches the grid upon which they sit. Only squares of opposite colors can switch places. (4) Rotating disks puzzle. Rotate four disks to restore a picture. I. Bonus Chapter. Bubble Shooter game. Shoot marbles to defeat an evildoer. It increases in speed as you continue in the game. Rated 2 out of 5 by BlackMarilyn from Deja Vu My review is based on playing half of the free trial. There is absolutely nothing new here. In fact for the first ten minutes I was positive that I had already played this game before....but how could that be? It is brand new, hot off the press supposedly . Basically this game is a patch work of many other games all rolled into one. The story line has been done to death and there are oh so many stupid complicated locks that have to be assembled just so that you can find a pair of pliers. I love HOG games even after a decade of playing them but this one left me bored to tears. Never before have I given up before the end of the trial period. If you have never played this type of game perhaps you will enjoy it. Rated 2 out of 5 by LadyXXXHolic from Short and to the point doesn't work in HH games After the demo the game gets right to the point so there's no real mystery and not much character interaction through the whole thing. Parts of the spoken dialogue towards the end don't even match up with the written ones. The game is also pretty short and is obviously a rushed work. Not really fun to play either and the Bonus chapter has no real point or effect on the story so the CE isn't worth it. Rated 1 out of 5 by catheys from Un-Haunted Hotel I am a Haunted Hotel game collector and was very excited when I saw this new one. I played the trial version and eventually caught on to the storyline but it wasn't enough to hold my excitement. There was too much to do and find which kept you looking and clicking. The puzzles were too difficult for me and too many. I was looking for a real thriller that kept me on the edge of my chair. It came up short! Rated 1 out of 5 by Brialla from Bring back James This was a really poorly done game. It was boring, the story was jerky and felt incomplete. The voices were jarring and didn't seem to fit plus the sounds didn't suit the emotions. This series has completely gone down the tubes. Bring back James and his detective sidekick! !